just getting back to normal after so many personal events kind of scarred me, not the best time to make a record, but I wanted to be Completely vulnerable. Actually, I have no idea how it's going to be received or how it sounds. I just did the best I could Other than that I take it as a learning experience which helped expand my knowledge of acoustic recording, audio processing and some other whole new skill sets. In the future, I'm going to spend more time developing my technical skills as a pianist and a recordist and not relying so much on my personality because it just feels more authentic as an artist. Wanted to record under better circumstances but as a businessman and a father its necessary to put some meat on the table. So far, on sale in Japan and direct for me. Will decide about a Worldwide release in a few days, but for now this will be only physical CD sales. No downloads. I'm very happy with the latest version of Many Splendid Things. There was just enough time to redo three of the songs through a new compressor and repair some damaged audio in the master. I was also able to get some additional pictures and text included in the insert as well as make the colors of the existing images more brilliant. After this press is sold out, there will be one more remastering job and that will be the final version. The three songs that were remastered are Sweet Lorraine, We're All Alone, and Fly me to the Moon. The new improved version is only available on hard copy, so if you go to iTunes or CDBaby, what you will be hearing will be an older version, the second press. The original version is represented by the sample files on this site, for those who want to compare tracks. I've learned so much in the process of improving this thing, and in improving my mixing and recording techniques! Its been an exciting journey albeit expensive, just making a few slight improvements that add up over the course of this CD's evolution. The next release is a series of live recordings done at my main venue, Sandaya. Intermittent noise from customers and servers had to be edited out as much as possible, a time consuming process, but this new release is starting to take shape and I expect to have it available by Spring 2013. With only 25 CDs left here in Japan, and 13 left in the states, it appears that "Best Thing to Come," will be due for another release and press before the end of the year. In keeping with our company policy of constant improvement, this new release will feature remixed versions of two favored songs on the album, "Imagine," and "Lovely Day," as well as a slightly altered "My One and Only Love." I spent a weekend (between jobs) putting these remixes together and have encoded them into the new master CD. The new master is at the plant now and we expect it to be re-pressed and available by mid December. What are the differences in the remixes? A few things that were "sticking out" (in my opinion) have been put in a more appropriate place. A few important things that were understated have been put in a more prominent place. A more analog type tape compression was used to give a "rounder" and warmer sound, as well as an improved analog to digital conversion process. Eventually expecting MP3 releases of these remixes but that is not a priority as physical CD sales continue to outstrip downloads by over 20 to 1. Not going to try to hit you over the head with talk about my CDs, but they're very relaxing, and with the holidays coming up, and the attendant stress, make the perfect present. The differences in this new version are slight, and may not be noticeable to some, but they are improvements nevertheless, so if you want to be sure to get this latest press of the CD please contact me and order directly because CD Baby and other merchants only have the original version in stock. (No telling how long its going to take for them to sell out.) We are selling out rapidly here in Japan and expect to run out before the end of 2011. We shipped one to Israel for $15 postpaid, so, that will be the price, regardless of your location. I will pay for postage and ship by airmail...and even sign them if you want, but, of course that will require me breaking the plastic seal. Sorry but we can only accept personal checks or bank transfers. So, right now in the process of getting the pianos tuned and learning the workings of video cameras. Heartfelt Thanks to all the folks who have supported me and enjoy my music, and best wishes for the holidays and coming new year! The new version is now available on iTunes and Amazon as well as CDBaby. The latest CD, "Best Thing to Come," is almost sold out and a new version with some songs remixed is in the works. We expect this second version of the album to be available before the end of the year. Only a couple of songs were remixed, Imagine, Lovely Day, and My One and Only Love. The differences are slight, but they are improved versions and worthy of inclusion. The first song to be recorded on this CD was the Eagles' "Desperado," and it was one of those rare instances in the studio where I nailed it on the first take. And though I did decide to replay some of the drum parts just before the final mixdown, the vocals and the feel was right where it needed to be. After that, all hell broke lose. My only microphone pre-amp died and the company (whose name I will not mention here, except to say I am no longer an authorized dealer for them) would not repair or support it. So I went shopping for a new one, and after plunking down over $200 was not at all satisfied with it. And although for most pro recordists, $2000 for a pre-amp is standard fare, as far as I'm concerned, for 2 grand it better roll over, give head, make coffee and put out the trash. Thus began a search and research for a pre-amp that sounded great but didn't cost more than a month's rent. And after reading through a lot of pro audio forums, reviews and hundreds of web pages until my eyes fried my research finally led me to a company in England and a dealer in South Carolina who carries the product. The sound is wonderful and I could finally record without worrying about background noise in my un-soundproof studio. I was listening to Desperado tonight on the way home from work, and I really love it. Hope you will too. Scheduled to be pressed on the 16th of July, we anticipate having it in hand by the 20th. Of course friends and family will have their free copies in the mail immediately. Also, the first person to sign my guestbook before the 16th will also get a free copy. Any takers? No more delays. No more excuses. The master just went out today and we go to press early next week. The new CD, entitled "Best Thing to Come," will be available in Japan during the second week of July. Sales in America and all other countries will begin later in the month. Physical sales as well as digital downloads will be available. All sales outside of Japan will be at less than half the regular price for a physical CD. There is an extended track on the CD which is over 10 minutes long. Some merchants, like iTunes force you to buy the whole album if you want the extended track. On this CD the extended track will be the same price as other tracks, so if you want just that, its yours at no extra cost. This offering is the result of over three years of study, recording, production, and literally hundreds of remixes. Its not a casual effort. Every millisecond of each track was meticulously scrutinized. The CD is over one hour long and features instrumental and vocal cuts as well as a couple of guest artists. Several genres are covered here, Pop, Electronic, New Age, Jazz, Ballads, Rock, Ethnic and Gospel. A couple of tunes that I wasn't satisfied with on my first Album have been redone, so if you see a familiar title don't think its the same recording. Its completely different. Enjoy the music and be blessed! 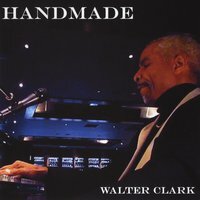 Original arrangements and a unique relaxed style are the hallmarks of a Walter Clark performance. All of his interpretations of cover songs and his originals offer welcome surprises....sort of a blend of jazz and pop that's hard to categorize, but easy to enjoy. Notable for its lack of hyped up volume or special effects, this is an album that soothes and etches itself into memory for years to come. As one reviewer put it: "Whenever I hear those strains that remind me of Walter Clark's Titanic theme, I remember. His interpretation of the popular hit has become the definitive sound of it for me." Originally recorded in 2002, the hard copy of the CD was quickly sold out. Available for the first time digitally, this is truly collectors item and a worthy first effort. Doing business with the Japanese can be about as difficult as seducing an unwilling woman, negotiating a minefield, wrestling a snake, or having a baby. It can be a long, tedious negotiation that produces no tangible results or it can proceed smoothly and produce profits and payoffs that span generations. 1. The first mistake is assuming that the Japanese operate from the same standard of values as a westerner. In business, we westerners value an aggressive approach and for negotiations to be concluded as quickly as possible. As we have found in dealing with the Europeans, such an approach for quick conclusion is often not met with enthusiasm, and the same is true with the Japanese, but with a twist. Negotiations can go on for years before you can close a deal. In my case, the best contracts that I've received from Japanese took several months to a year or more before they were actually signed and work began. The Japanese think long-term. Short term quarterly profits are far less important than year on year. They plan 5, 10, 20 years down the road. A good example of this is Toyota which only last year failed to make a profit for the first time in its history. Being too aggressive, or too direct is also interpreted as being cold. If you're one of those people who like to sit down and "get right to the point," without some meaningless polite talk, you're in trouble. Trying to establish a business relationship without establishing a relationship on some level is only going to make your road harder. 2. It has been said, "never negotiate from a position of weakness." It should be kept in mind that the Japanese are wired to view all relationships constantly gauging whether the person is a superior or an inferior. An unwitting move can put you in the inferior category, and once they have you placed in that category there's no winning. So what are the things you can do to put yourself in a inferior position? There is a proper way to present and accept a business card from a Japanese. If you present yours the wrong way it shows you have a lack of respect for yourself and if you accept his the wrong way it shows a lack of respect for him and his company as well. When bowing to a Japanese confusing the Japanese way of bowing to the "Chinese way." I always remember the Chinese kung fu movies when they bow but are careful not to take their eyes off the opponent. The Japanese bow with eyes closed. Also, the depth and duration of your bow, as well as how many times you do, are all indicative of different meanings. 4. A lack of what they consider to be "the business mind." For example, a story was told to me about a women who came to Japan to do a deal. She took the long flight, usually 12 hours from the states, and, as a sensible person would do, she dressed in her most comfortable clothes for the flight...sneakers, and an elegant warm up suit. When she got off the plane she was met by her Japanese counterparts who were immediately taken aback because she was not wearing a business suit. She had unwittingly lost credibility with them because, to their way of thinking, she was not properly dressed for business. A business person would have suffered the flight in his or her suit and to come down the ladder in a wrinkled suit would have made a more favorable impression. 5. Another mistake is to assume that the Japanese will Tell you when you have made a mistake. Au contraire! They'll just shut you out and you'll never know why your calls are not returned. The Japanese feel that pointing out the deficiencies of others is to destroy the harmony of the situation. They'll NEVER tell you what you did wrong, and once that door is closed there's no opening it. You are out....and of no concern to them. The Japanese view of his world and society consists of two groups. The "in" group and the "out" group. Once you're "out" you might as well no longer exist to them...unless you become a threat. 6. Using humor to 'diffuse a situation. The Japanese don't 'get' our humor. Satiric remarks, especially irony, and even puns, can be met with a blank face or even interpreted negatively. Japanese humor is largely slapstick, so unless you've got a Laurel and Hardy routine in your repertoire you'd best avoid it all together. 7. Not apologizing if you've done something "wrong." This is a huge one! Westerners seem to be very reluctant about saying, "I'm sorry." even when obviously guilty. They're quick to come up with lies, excuses and platitudes like, "That was not my intention," when a simple, "I'm sorry" can completely melt opposition and allow you to start off on a new page with a Japanese. The Japanese confuse guilt and responsibility, so by apologizing you may not be actually confessing to guilt in their eyes, but at least you are accepting responsibility for your actions which is a huge plus in their eyes. But by Not apologizing you are not accepting any responsibility, a sign of "immaturity." 8. Thinking that understanding the Japanese language means understanding the Japanese. I've got a shelf full of books and 19 years experience speaking Japanese, but the language and a literal interpretation of it can often mislead one as to the hidden meaning of the words. 9. Misinterpreting the face of a Japanese. You may be in negotiations and be facing a frowning scowling Japanese businessman. But underneath that hostile exterior he may just like you...a lot! 10. Saying the word "no!" This is a very difficult one. Refusing something must be done tactfully, and sometimes even nodding your head in assent as a yes. If you or your company are interested in further information, training workshops or lectures on the subject, you can reach me here at the "Contact" button here at Clark Enterprises.
. My apologies for not having been able to communicate as frequently as I wanted to, but for the next 6 months at least, you will be hearing more from me because I'll be taking some time off to pursue so many areas that I have neglected, including family, recording my newest CD and of course, you my friends. Despite misinformation to the contrary, living standards and salaries are much lower here than america. And prices are higher. People just save more and spend differently. Meanwhile there are 100 million Japanese here. If only half of 1% like and buy this CD I'm set for life. All I can do is listen to the voice inside my head that tells me what tune to do next and how to do it. Hopefully it'll give me some original songs, but my initial plan was to save that for the next album, after my niche is firmly established. My manager asked me to do some originals so that's another strong stimulus. She asked me to make sure to do songs that are really ME, and not worry about catering to anybody. Lot going on over here. I did that wedding, but it was a burnout. Don't think I'll be doing it again with that company. It takes too long to recover from those road trips and the money doesn't justify the time and energy. Haven't been able to record much of anything since getting back, but the good side is I turned on that track to listen to it Tuesday and it blew me away. I guess taking a couple of days off had that benefit, but I'll plunge back into the mix tomorrow. Am I the only one in this country who's fed up with what's happening? We've got a gang of clueless bozos steering our ship of state right over a cliff, we've got corporate gangsters stealing us blind, and we can't even clean up after a hurricane much less build a hybrid car. But instead of getting mad, everyone sits around and nods their heads when the politicians say, "Stay the course" Stay the course? You've got to be kidding. damn ed "Titanic". I'll give you a sound bite: "Throw all the bums out!" You might think I'm getting senile, that I've gone off my rocker, and maybe I have. But someone has to speak up. I hardly recognize this country anymore. The most famous business leaders are not the innovators but the guys in handcuffs. While we're fiddling in Iraq , the Middle East is burning and nobody seems to know what to do. And the press is waving 'pom -poms' instead of asking hard questions. That's not the promise of the " America " my parents and yours traveled across the ocean for. I've had enough. How about you? I'll go a step further. You can't call yourself a patriot if you're not outraged. This is a fight I'm ready and willing to have.The Biggest "C" is Crisis ! Leaders are made, not born. Leadership is forged in times of crisis. It's easy to sit there with your feet up on the desk and talk theory. Or send someone else's kids off to war when you've never seen a battlefield yourself. It's another thing to lead when your world comes tumbling down. On September 11, 2001, we needed a strong leader more than any other time in our history. We needed a steady hand to guide us out of the ashes. A Hell of a Mess So here's where we stand. We're immersed in a bloody war with no plan for winning and no plan for leaving. We're running the biggest deficit in the history of the country. We're losing the manufacturing edge to Asia , while our once-great companies are getting slaughtered by health care costs. Gas price s are skyrocketing, and nobody in power has a coherent energy policy. Our schools are in trouble. Our borders are like sieves. The middle class is being squeezed every which way These are times that cry out for leadership. But when you look around, you've got to ask:"Where have all the leaders gone?" Where are the curious, creative communicators? Where are the people of character, courage, conviction, omnipotence, and common sense? I may be a sucker for alliteration, but I think you get the point. Name me a leader who has a better idea for homeland security than making us take off our shoes in airports and throw away our shampoo? We've spent billions of dollars building a huge new bureaucracy, and all we know how to do is react to things that have already happened. Name me one leader who emerged from the crisis of Hurricane Katrina. Congress has yet to spend a single day evaluating the response to the hurricane, or demanding accountability for the decisions that were made in the crucial hours after the storm. Everyone's hunkering down, fingers crossed, hoping it doesn't happen again. Now, that's just crazy. Storms happen. Deal with it. Make a plan. Figure out what you're going to do the next time. Name me an industry leader who is thinking creatively about how we can restore our competitive edge in manufacturing. Who would have believed that there could ever be a time when "The Big Three" referred to Japanese car companies? How did this happen, and more important, what are we going to do about it? Name me a government leader who can articulate a plan for paying down the debit, or solving the energy crisis, or managing the health care problem.The silence is deafening. But these are the crises that are eating away at our country and milking the middle class dry. I have news for the gang in Congress. We didn't elect you to sit on your asses and do nothing and remain silent while our democracy is being hijacked and our greatness is being replaced with mediocrity.What is everybody so afraid of? That some bonehead on CNN or MSNBC news will call them a name? Give me a break. Call it like it really is and not like they tell you to call it? Had Enough? Hey, I'm not trying to be the voice of gloom and doom here. I'm trying to light a fire. I'm speaking out because I have hope I believe in America . In my Grandparents,Parents & my lifetime we had the privilege of living through some of America 's greatest moments. We also experienced some of our worst crises: the "Great Depression", "World War II", the "Korean War", the "Kennedy Assassination", the "Vietnam War", the 1970s oil crisis, and the struggles of recent years culminating with 9/11. If I've learned one thing, it's this: "You don't get anywhere by standing on the sidelines waiting for somebody else to take action. Whether it's building a better car or building a better future for our children, we all have a role to play. That's the challenge for you. Read Lee Iacocca's new book, it's a call to "Action" for people who, like me, believe in America . It's not too late, but it's getting pretty close. So let's shake off the crap and go to work. Let's tell 'em all we've had "enough. Meanwhile, setting up for recording the next one has taken a lot of time, mainly because this job has sort of taken over my life. The grueling schedule, 4 set of 40 minutes shows 6 nights a week, plus driving an hour to the gig in Osaka, along with the preparation that goes along with being a live performer-the physical, mental and spiritual exercises which I have made a part of my routine, leave little time for a private life. But its all for a good cause and such a pleasure to be in a room where people really appreciate good music. Now that the Ritz has asked me to extend my 5 month contract another 5 months, there's a good chance that this will be the long term relationship both of our companies have hoped for. I've been at a bit of a crossroads recently. My whole idea of creativity and what it means has been challenged. I'm used to just getting on stage and Playing....not thinking...intuition guides me as to what notes will come next. Bothering about programs, loops and 'the mix' has always been secondary. It's left-brain stuff. I like to set it up before the song starts and just roll. I haven't spent a lot of time learning to dig deep into synthesizers and sequencers or building sounds and drum patterns from scratch. I've always looked upon reading instruction manuals that are 500 pages long and learning a bunch of technological crap as an impediment to creativity. Yeah, I get it. You're supposed to learn all this stuff and memorize it until it comes automatically to you when you're called upon to perform. But I've been the type of cat that wants it all in the box. To buy a synth or drum machine that has all the groovy sounds I want already there. Just let me tweak them a little bit and I'm ready to roll, or sometimes just hearing them will inspire me to create something new. And putting it on a computer is something I avoid to the extreme. I've been using a computer longer than most people who are currently on the net, but it has always been "for business." I want to play everything Live, but I only have 2 hands...even though I use them to play 3 parts at once. But its physically taxing, and when you are doing so much you forget to breathe properly, you're thinking to much. Too much left brain, and where's the joy in that? Plus I want more. Audiences want more. More sounds more effects more parts. And more and more, computers are becoming and integral part of musical instruments. Then I went into the music store over the weekend and got blown away by some of the new products out there. You can have four things going on at one time all coming out of a single synth. You can play drum pads and have synthesizer sounds coming out of them along with your drum sounds. Synths that have the drum groves already programmed in with the sound combinations. Its all digital. Most of my stuff is analog. Its hard to throw it all out because the warmth of the analog sound appeals to me and to my audiences more. But somehow I'll find a happy medium. Mix the analog with digital and maybe even begin albeit late to dive into some of the tech manuals and pick up a few of these modern-age toys that have become more and more sophisticated yet at the same time intuitive. Or then again, maybe I'll just hire a band to back me up and concentrate only on singing and playing straight piano. Gonna have to review my options in a meditation and figure it out which is the strongest path. Seeking new positions in the Kanasai and surrounding area. Traveled as far as Kanazawa yesterday for promotion. Success of sales of new CD, Many Splendid Things, continues. It took over a year to sell 400 copies of my first album. This time we have moved that many copies in less than 4 months. I guess its not rude and raw enough for American audiences, but the album is hugely popular among young and old here in Japan.